It's winter, and in Switzerland, like in many of the other countries in the northern hemisphere, the weather is cold. There's even terrible snowstorms in the us right now. Such bad weather calls confort, hot and simple food. So, why not a very very simple vegetables soup. Here's my family recipe, I love it, there's nothing special about it, but it's good, it's even better with a little bit of swiss cheese! You can have other vegetables if you want but these 4 together, taste quite good. 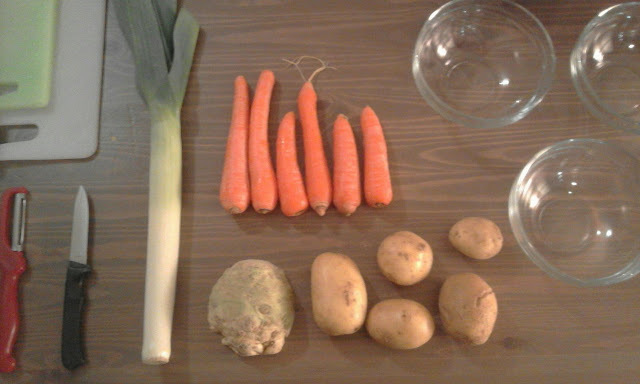 The idea is to have more of carrots and patatoes than celery and leek. When you have all your ingredients on the table, it's time to cut! 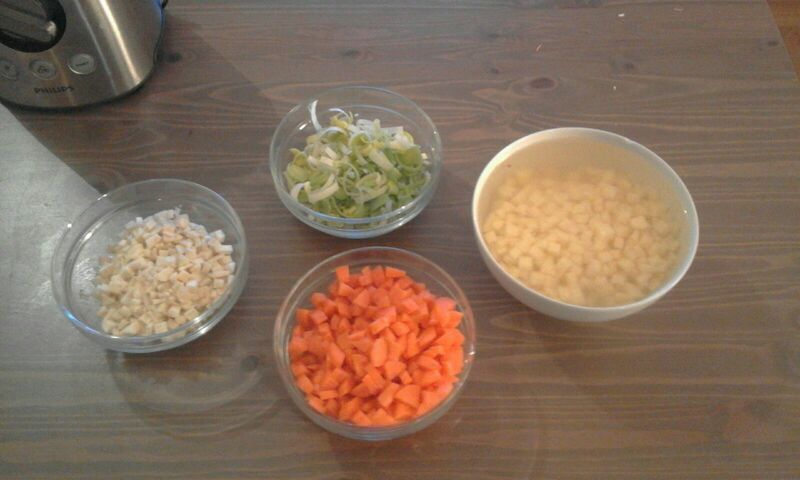 I suggest to cut every vegetable into small little square. Note that for the patatoes I strongly advice to put them in water because if you don't it will turn all brown... and it's not very appetizing. Some people like to have pieces in their soup, I rather prefer to have tiny tiny piece so I use a blender to make them even smaller. To finish you dish, you need to put all your vegetables in a big casserole add water, enough to cover the vegetables and even a little bit more. 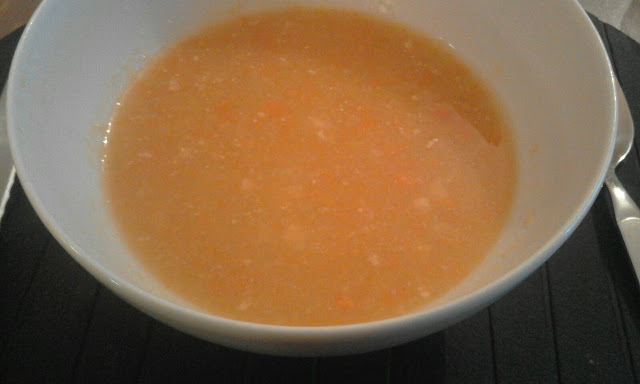 Than you add a broth, I like chicken broth by knorr. You cook it for 10 - 15 minutes at high heat, and you are good to eat a delicious soup! Bon appétit!